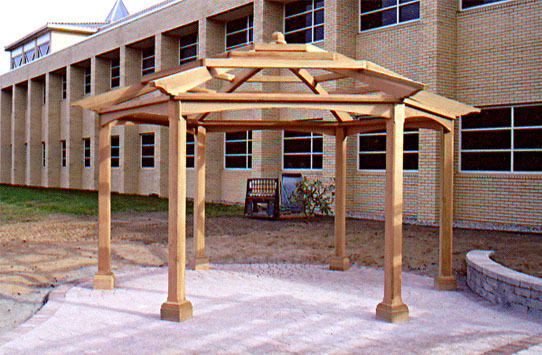 This pergola, placed in a commercial courtyard, serves to create an accent in a large area of pavers and provides shade in an otherwise very exposed setting. 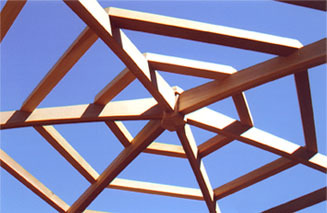 The hexagonal pergola was designed at the request of the client as a counterpoint to the rectangular nature of the buildings and site. Lush plantings will add the finishing touches to complete the look and add additional shade.